Cherie Marks: I'm a Hybrid and Proud of It! 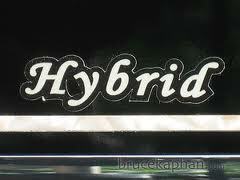 I'm a Hybrid and Proud of It! Back in March, I submitted my manuscript, Lost in New Falls, to a prominent Trad publishing house per an editor's request. I was jumping up and down at the opportunity. Literally, it wasn't every day that an editor was interested in my work. Anxiously, I marked my calendar, allowing the professionally accepted three months before I expected to hear anything one way or the other. 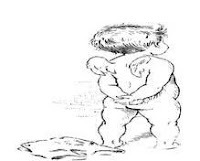 Around the same time, I posted a little flash fiction piece titled, "Mercy," to Smashwords. After some time, it began getting some good feedback. Originally, this piece was going to be a complete young adult novel, and though I'd started it, I'd never finished it. The comments I kept receiving basically said, "Love it! It needs to be longer." So, I set my mind to finishing Edge of Mercy. Then, at the end of July, I indie-pubbed the finished product. I'd chosen to do this one myself for very good reasons. Not the least of which was the fact a publishing agent I follow made it apparent dystopian young adult was a flooded market. Even if I happened to hit the jackpot and get a publishing house interested in publishing my book, by the time it hit shelves two years later, the market interest would be lost. 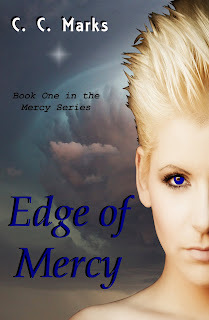 The time-frame of publication was the key factor in my choice to self-pub Edge of Mercy and the subsequent books in the series (coming soon). 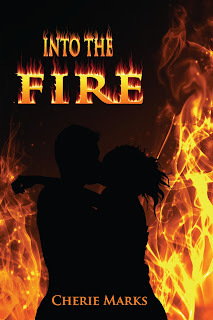 I've also published a short story with an e-publisher (Into the Fire through The Wild Rose Press), so with these different avenues of publication, I proudly proclaim myself a hybrid author. Some say one must choose one camp or another. You're either Indie or Traditional. Otherwise, you're disloyal to the cause (whatever that may be). Some say whatever you choose shouldn't matter to others (this is my opinion) as long as it's working for you. Right now, this is working for me. I'm very proud of my tiny successes with Edge of Mercy and Into the Fire, but I'd be lying if I didn't say I didn't still hope for a book deal. I know, I know...Trad publishers' offers are getting less and less advantageous for authors, but if the shoe fits on the foot in the door, why not wear it? Okay, there might be many reasons not to wear it. Not the least of which is the fact that I would earn less than, less than, less than nothing, and the fact that I would have to kiss my manuscript goodbye for pretty much...ever. But somehow, it's still a part of my dream to see my book in a bookstore (before they're all gone, that is). So, though I've contacted the editor twice now for a yea or a nay, and said editor still hasn't read my manuscript, I'm not quite ready to call it all off. I guess the real lesson here is that authors have so many more options now, and I'm not willing to give up on any of them yet. I'm not the only one whose mind is weighing all her options. Even heels-dug-in Indies are licensing other rights to publishers (foreign, audio, media, print, etc.) and even die-hard Trad authors are self-pubbing backlist books with great success. Once again, what's right for one is not always what's right for all. For more on what others are saying, check out this link about a recent revelation explaining even self-publishers are shopping around for publishing deals, even if it's just certain rights. So proud of you! Congrats on your success in both markets. I love the publishing choices that are available to authors nowadays. Good luck with that editor! Thanks for your kind words, Patricia. I think it will be the way of the future for authors. If an author makes a few decisive choices, he or she could make quite a good career. It's not a bad way to make a living. I think authors have to follow the path that feels right for them. Good for you for following your dream! I'm like you, a hybrid. I've self-published short stories but still hope to find a trad publisher for my novel. I may be in the minority, but both avenues are still viable in my opinion. It should absolutely matter only to you...good for you and I know you'll be super famous one day...maybe we all will be!